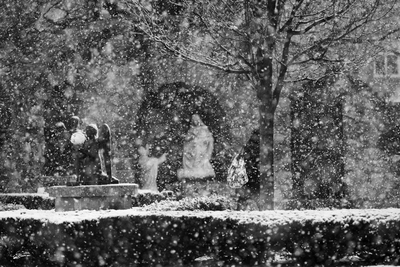 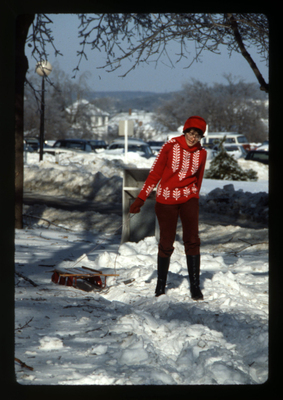 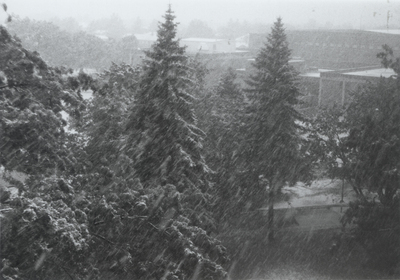 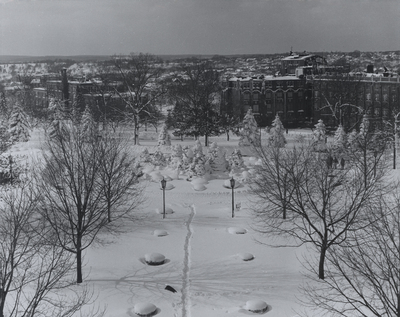 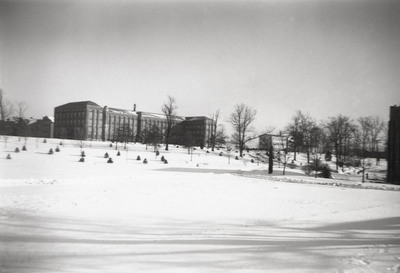 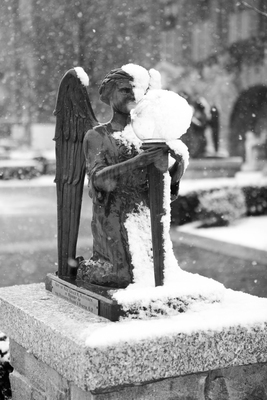 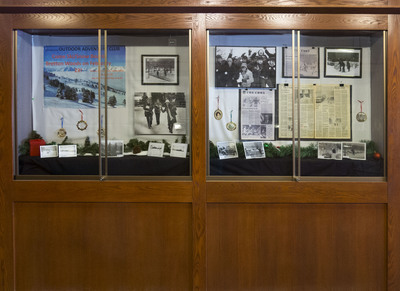 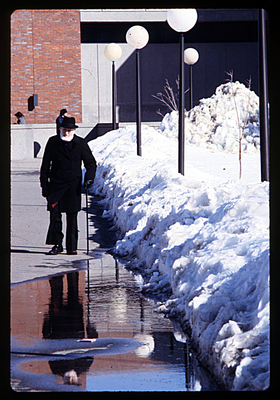 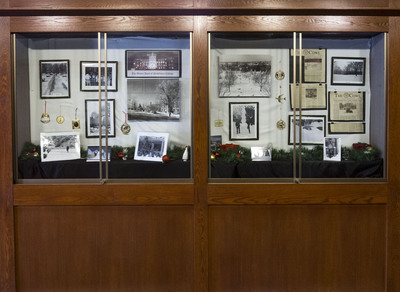 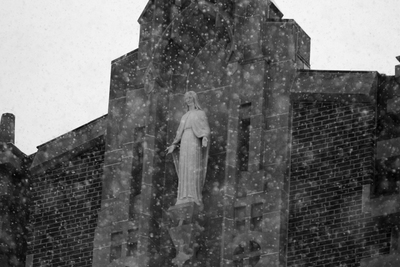 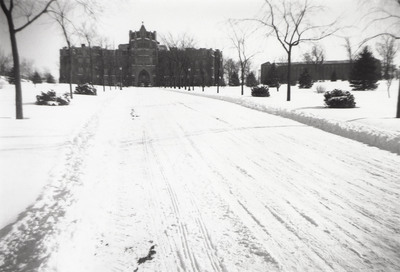 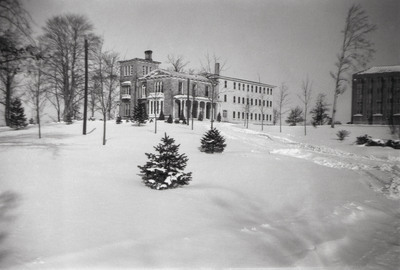 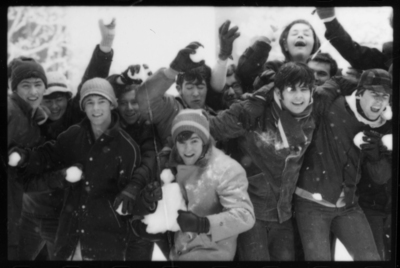 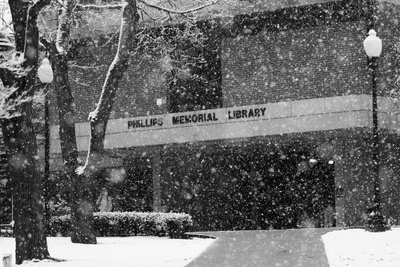 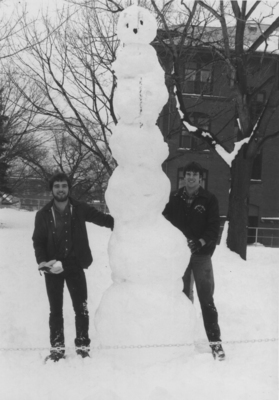 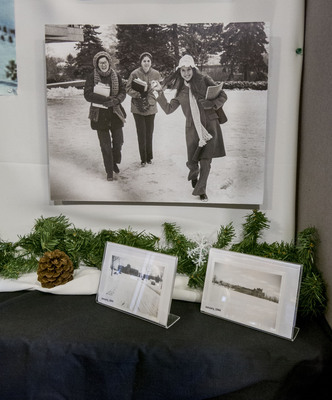 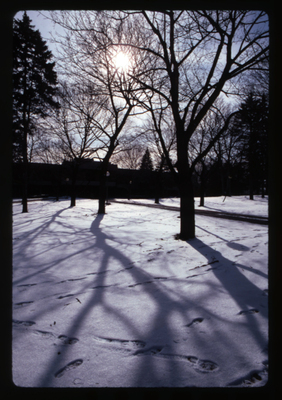 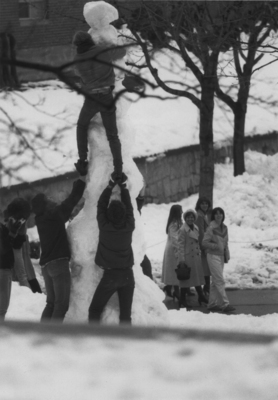 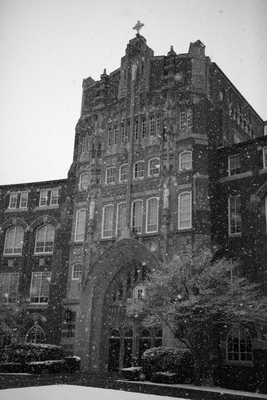 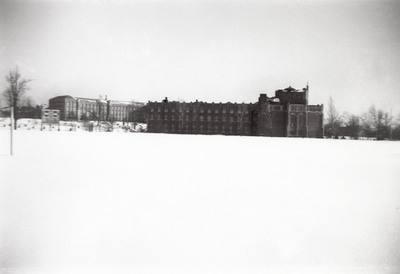 Exhibition Dates: December 12, 2013-January 31, 2014-This exhibit highlights several major winter events in the College's history, including the Blizzard of '78, the famous Providence College snowball fight of February, 1969, the desolate winter of '44, and the well-remebered giant snowman of 1982. 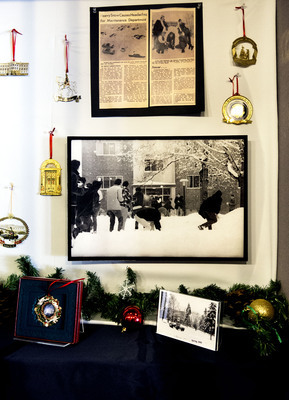 Accenting the exhibit are White House Christmas tree ornaments from The John Brennan papers collection, which is housed within the Special and Archival Collections unit of the Library. 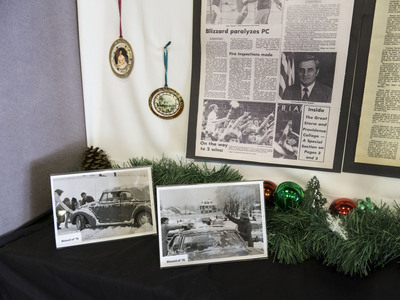 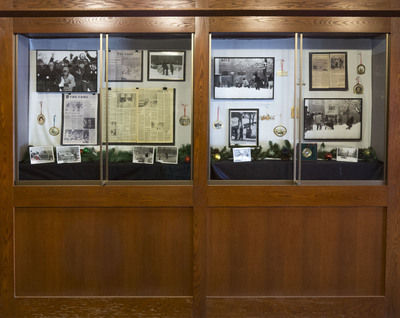 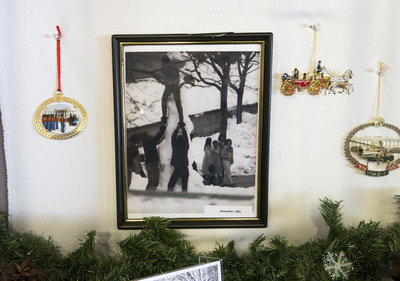 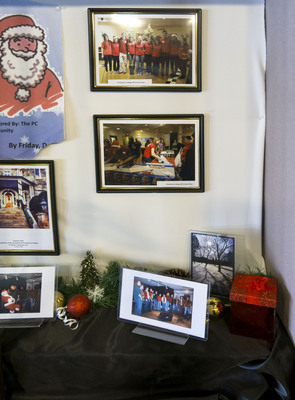 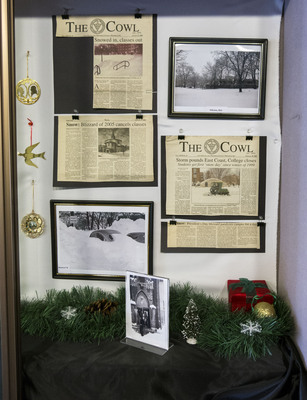 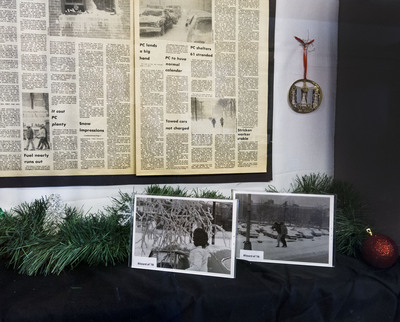 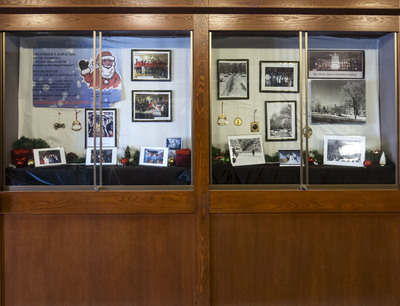 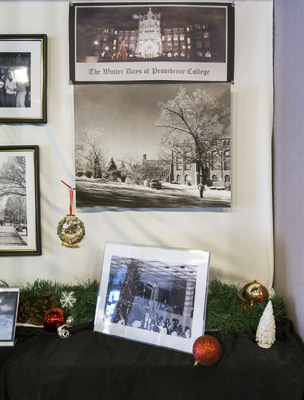 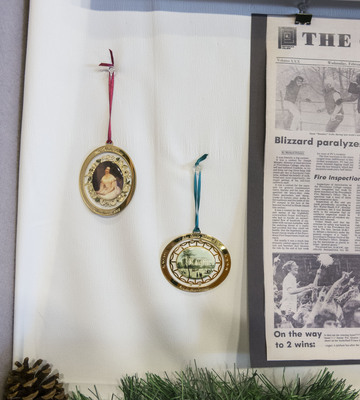 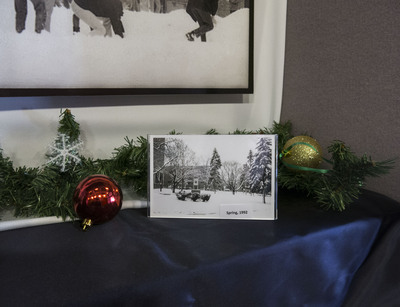 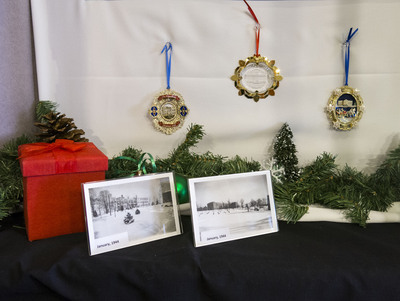 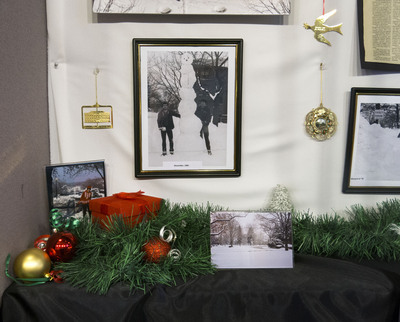 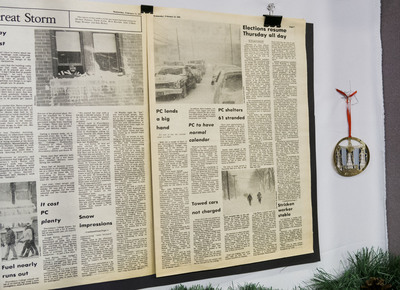 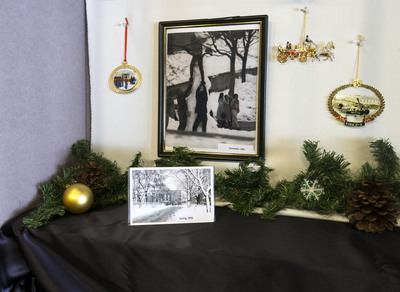 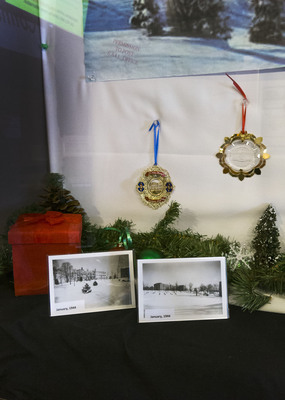 The ornaments, first produced in 1981 by the White House Historical Association, caught the eye of Mr. Brennan '59, back in 1982 and he's been collecting them ever since. 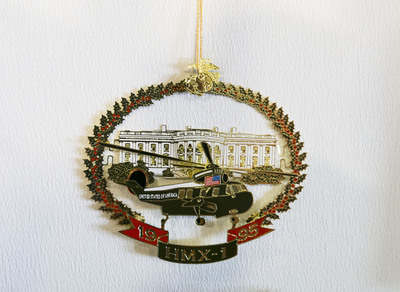 Every year Mr. Brennan kindly sends the new White House ornament to add to the collection.